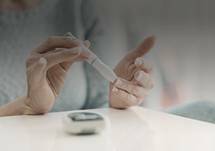 Welcome to this medical industry feature, titled “Peer Perspectives: Evolving Treatment in Diabetes to Incorporate CV Risk Reduction” sponsored by Novo Nordisk. This program is intended for U.S. physicians. Important safety information is provided throughout this transcript. To view the full prescribing information, including boxed warning, visit Victozapro.com. INDICATIONS AND LIMITATIONS OF USE: Victoza® (liraglutide) injection 1.2 mg or 1.8 mg is indicated as an adjunct to diet and exercise to improve glycemic control in adults with type 2 diabetes mellitus, and to reduce the risk of major adverse cardiovascular, CV death, nonfatal myocardial infarction or nonfatal stroke in adults with type 2 diabetes mellitus and established CV disease. Victoza® is not a substitute for insulin and should not be used in patients with type 1 diabetes mellitus or diabetic ketoacidosis. Concurrent use with prandial insulin has not been studied. WARNING: Risk of thyroid C-cell tumors. Liraglutide causes dose-dependent and treatment duration-dependent thyroid C-cell tumors at clinically relevant exposures in both genders of rats and mice. It is unknown whether Victoza® causes thyroid C-cell tumors, including thyroid medullary thyroid carcinoma, MTC, in humans, as the human relevance of liraglutide-induced rodent thyroid C-cell tumors has not been determined. Victoza® is contraindicated in patients with a personal or family history of MTC, and in patients with multiple endocrine neoplasia syndrome type 2 (MEN-2). Counsel patients regarding the potential risk for MTC with the use of Victoza® and inform them of symptoms of thyroid tumors; for example, a mass in the neck, dysphagia, dyspnea, persistent hoarseness. Routine monitoring of serum calcitonin or using thyroid ultrasound is of uncertain value for early detection of MTC in patients treated with Victoza®. I make a lot of calls now. I’ve gotten to know the cardiovascular nurses quite well now. It’s all, you know, step out of the room with my endocrinologist and call one of the cardiovascular nurses. So, utilize the resources you have, but I think really needing to connect a little bit more and get out of those silos. 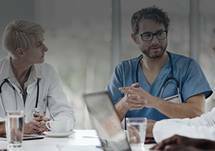 It’s important to do it at that time, like you said, real-time, as opposed to the patient go and then say we’ll follow up and have a conversation and a phone call later because a lot of times that doesn’t happen, people get busy. So, if you can take care of it at that moment in time, that’s your teaching moment. That’s your treating moment. Type 2 diabetes is a complex disease. I’ve been a nurse for over 30 years with 25 years specifically in the diabetes space. Each patient we see is unique, and each of the healthcare professionals who join me at the table today has a different perspective. Regardless of whether you’re a nurse, a cardiologist, an endocrinologist, or an internist, the first priority for all of us is best for the individual patient. About one-third of the patients I see in my cardiology practice have type 2 diabetes. Many come to see me because they’ve already had an adverse cardiac event, while others check in because they’re concerned about their other cardiovascular risk factors, such as family history. Either way, I see treating these patients with type 2 diabetes as a collaborative effort with their other specialty healthcare professionals. Like my colleagues, I view each adult with type 2 diabetes as an individual. They have different backgrounds and different needs. In 2008, the FDA mandated that all diabetes treatments include cardiovascular outcomes trials in their research. This effort helped bring to light and provide data on the connection between type 2 diabetes and cardiovascular disease, though it is something a lot of us have been aware of for awhile. Now, it used to be all the: we’ve got to get your patient to the glycemic goal. You – it doesn’t matter, however you can get them, but now it actually matters how you get them there. It actually matters what agents you choose to get them there, and now it’s very clear. 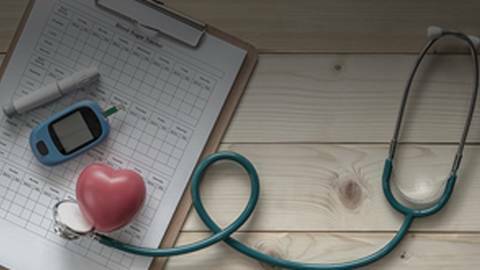 If you have cardiovascular disease and type 2 diabetes, there are certain specific agents that have proven cardiovascular risk reduction in people who have cardiovascular disease. We now finally have medications for type 2 diabetes and established cardiovascular disease that state in their label that they not only assist with glycemic control, but they can also reduce the risk of major adverse cardiac events such as cardiovascular death, nonfatal MI, or nonfatal stroke. 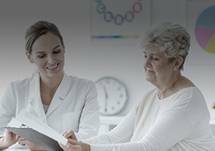 These treatments help make the discussion with our patients that much easier, because now when we talk about the additional CV risk, we have another treatment option to offer. Do you find when you’re talking to your patients once they’ve had an event, that their eyes are open and they’re much more receptive to this kind of conversation? Yes, and you know I really wish – you know, we try really hard to get them on the flip side, you know, let’s not wait until something happens, but unfortunately you don’t feel heart disease happening, so this is why education and early, early, early intervention is so important in this case, because that can be happening in the background and the patient not have symptoms. So we try extremely hard, not as a scare tactic, but to say, hey this is the path, this is the road that may happen, and fortunately we now have these tools. It’s more than just the glucose numbers, it’s what else are we treating. CONTRAINDICATIONS: Victoza® is contraindicated in patients with a personal or family history of MTC or in patients with MEN-2, and in patients with a prior serious hypersensitivity reaction to Victoza® or any of the product components. Serious hypersensitivity reactions, including anaphylactic reactions and angioedema have been reported with Victoza®. Risk of thyroid C-cell tumors: Patients should be referred to an endocrinologist for further evaluation if serum calcitonin is measured and found to be elevated, or thyroid nodules are noted on physical examination or neck imaging. Pancreatitis: Acute pancreatitis, including fatal and nonfatal hemorrhagic or necrotizing pancreatitis has been observed in patients treated with Victoza® post marketing. Observe patients carefully for signs and symptoms of pancreatitis; persistent severe abdominal pain, sometimes radiating to the back with or without vomiting. If pancreatitis is suspected, discontinue Victoza® promptly. And if pancreatitis is confirmed, do not restart. Victoza® has been studied in a limited number of patients with a history of pancreatitis. It is unknown if patients with a history of pancreatitis are at a higher risk for development of pancreatitis on Victoza®. Never share a Victoza® pen between patients, even if the needle is changed. Pen-sharing poses a risk for transmission of blood-borne pathogens. Hypoglycemia: When Victoza® is used with an insulin secretagogue; for example, a sulfonylurea or insulin, serious hypoglycemia can occur. Consider lowering the dose of the insulin secretagogue or insulin to reduce the risk of hypoglycemia. Renal Impairment: Acute renal failure and worsening of chronic renal failure, which may sometimes require hemodialysis, have been reported postmarketing, usually in association with nausea, vomiting, diarrhea, or dehydration. Use caution when initiating or escalating doses of Victoza® in patients with renal impairment. Hypersensitivity Reactions: Serious hypersensitivity reactions; for example, anaphylaxis and angioedema, have been reported postmarketing. If symptoms of hypersensitivity reactions occur, patients must stop taking Victoza®. Treat promptly per standard of care and monitor until signs and symptoms resolve. Do not use in patients with a previous hypersensitivity reaction to Victoza®. Anaphylaxis and angioedema have been reported with other GLP-1 receptor agonists. Use caution in a patient with a history of anaphylaxis or angioedema with another GLP receptor agonist because it is unknown whether such patients will be predisposed to these reactions with Victoza®. Acute Gallbladder Disease: In the LEADER trial, 3.1% of Victoza® versus 1.9% of placebo-treated patients reported an acute event of gallbladder disease, such as cholelithiasis or cholecystitis. The majority of events required hospitalization or cholecystectomy. If cholelithiasis is suspected, gallbladder studies and appropriate clinical follow-up are indicated. Adverse Reactions: The most common adverse reactions reported in greater than or equal to 5% of patients treated with Victoza®, and more commonly than in patients treated with placebo are nausea, diarrhea, headache, vomiting, decreased appetite, dyspepsia, and constipation. Immunogenicity-related events, including urticaria, were more common among Victoza® -treated patients 0.8% than among comparator-treated patients 0.4% in clinical trials. Drug Interactions: Victoza® causes a delay of gastric emptying and has the potential to impact the absorption of concomitantly-administered oral medications. Caution should be exercised when oral medications are concomitantly administered with Victoza®. Use in specific populations. Victoza® has not been studied in patients with type 2 diabetes below 18 years of age and is not recommended for use in pediatric patients. Victoza® slows gastric emptying. Victoza® has not been studied in patients with pre-existing gastroparesis. Victoza® should be used during pregnancy only if the potential benefit justifies the potential risk to the fetus. This program was sponsored by Novo Nordisk. To view the full prescribing information, including boxed warning, visit Victozapro.com. If you missed any part of this discussion, visit www.ReachMD.com/cvrisk. This is ReachMD. Be part of the knowledge. Victoza® is a registered trademark of Novo Nordisk A/S. 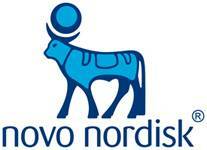 Novo Nordisk is a registered trademark of Novo Nordisk A/S. © 2019 Novo Nordisk All rights reserved. American Diabetes Association. Standards of medical care in diabetes—2019. Diabetes Care. 2019;41(suppl 1):S1-S172. Low Wang CC, Hess CN, Hiatt WR, Goldfine AB. Clinical update: cardiovascular disease in diabetes mellitus. Atherosclerotic cardiovascular disease and heart failure in type 2 diabetes mellitus-mechanisms, management, and clinical considerations. Circulation. 2016;133:2459-2502. Garber AJ, Abrahamson MJ, Barzilay JI, et al. Consensus statement by the American Association of Clinical Endocrinologists and American College of Endocrinology on the comprehensive type 2 diabetes management algorithm–2019 executive summary. Endocr Pract. 2019;24(1):91-120. Fruchart J, Davignon J, Hermans MP, et al. Residual macrovascular risk in 2013: what have we learned? Cardiovascular Diabetology. 2014;13(26):2-17. Link to PI here and ISI below for Victoza® (liraglutide) injection. Please click here for full Prescribing Information including Boxed Warning. Please see IMPORTANT SAFETY INFORMATION below. This program is intended for U.S. healthcare professionals only. For those patients with type 2 diabetes and established cardiovascular disease, how you get them to their glycemic goal matters. Join registered nurse Melissa Magwire, cardiologist Ronald D’Agostino, internist John E. Anderson, and endocrinologist Helen L. Baron at the roundtable as they discuss the importance of treating type 2 diabetes in a way that also reduces the risk of major adverse cardiovascular events, such as non fatal MI, not fatal, stroke, or CV death. Victoza® (liraglutide) injection 1.2 mg or 1.8 mg is indicated as an adjunct to diet and exercise to improve glycemic control in adults with type 2 diabetes mellitus, and to reduce the risk of major adverse cardiovascular (CV) events (CV death, non-fatal myocardial infarction, or non-fatal stroke) in adults with type 2 diabetes mellitus and established CV disease. Victoza® is not a substitute for insulin and should not be used in patients with type 1 diabetes mellitus or diabetic ketoacidosis. Concurrent use with prandial insulin has not been studied. Liraglutide causes dose-dependent and treatment-duration-dependent thyroid C-cell tumors at clinically relevant exposures in both genders of rats and mice. It is unknown whether Victoza® causes thyroid C-cell tumors, including medullary thyroid carcinoma (MTC), in humans, as the human relevance of liraglutide-induced rodent thyroid C-cell tumors has not been determined. Victoza® is contraindicated in patients with a personal or family history of MTC and in patients with Multiple Endocrine Neoplasia syndrome type 2 (MEN 2). Counsel patients regarding the potential risk for MTC with the use of Victoza®and inform them of symptoms of thyroid tumors (eg, a mass in the neck, dysphagia, dyspnea, persistent hoarseness). Routine monitoring of serum calcitonin or using thyroid ultrasound is of uncertain value for early detection of MTC in patients treated with Victoza®. Victoza® is contraindicated in patients with a personal or family history of MTC or in patients with MEN 2, and in patients with a prior serious hypersensitivity reaction to Victoza® or to any of the product components. Serious hypersensitivity reactions including anaphylactic reactions and angioedema have been reported with Victoza®. Risk of Thyroid C-cell Tumors: Patients should be referred to an endocrinologist for further evaluation if serum calcitonin is measured and found to be elevated or thyroid nodules are noted on physical examination or neck imaging. Pancreatitis: Acute pancreatitis, including fatal and nonfatal hemorrhagic or necrotizing pancreatitis, has been observed in patients treated with Victoza® postmarketing. Observe patients carefully for signs and symptoms of pancreatitis (persistent severe abdominal pain, sometimes radiating to the back with or without vomiting). If pancreatitis is suspected, discontinue Victoza® promptly and if pancreatitis is confirmed, do not restart. Victoza® has been studied in a limited number of patients with a history of pancreatitis. It is unknown if patients with a history of pancreatitis are at a higher risk for development of pancreatitis on Victoza®. Hypoglycemia: When Victoza® is used with an insulin secretagogue (eg, a sulfonylurea) or insulin, serious hypoglycemia can occur. Consider lowering the dose of the insulin secretagogue or insulin to reduce the risk of hypoglycemia. Hypersensitivity Reactions: Serious hypersensitivity reactions (eg, anaphylaxis and angioedema) have been reported post-marketing. If symptoms of hypersensitivity reactions occur, patients must stop taking Victoza®; treat promptly per standard of care, and monitor until signs and symptoms resolve. Do not use in patients with a previous hypersensitivity reaction to Victoza®. Anaphylaxis and angioedema have been reported with other GLP-1 receptor agonists. Use caution in a patient with a history of anaphylaxis or angioedema with another GLP-receptor agonist because it is unknown whether such patients will be predisposed to these reactions with Victoza®. Acute Gallbladder Disease: In the LEADER trial, 3.1% of Victoza® vs. 1.9% of placebo-treated patients reported an acute event of gallbladder disease, such as cholelithiasis or cholecystitis. The majority of events required hospitalization or cholecystectomy. If cholelithiasis is suspected, gallbladder studies and appropriate clinical follow up are indicated. The most common adverse reactions, reported in ≥5% of patients treated with Victoza® and more commonly than in patients treated with placebo, are nausea, diarrhea, headache, vomiting, decreased appetite, dyspepsia, and constipation. Immunogenicity-related events, including urticaria, were more common among Victoza®-treated patients (0.8%) than among comparator-treated patients (0.4%) in clinical trials. Victoza® causes a delay of gastric emptying and has the potential to impact the absorption of concomitantly administered oral medications. Caution should be exercised when oral medications are concomitantly administered with Victoza®. Victoza® has not been studied in patients with type 2 diabetes below 18 years of age and is not recommended for use in pediatric patients. Victoza® slows gastric emptying. Victoza® has not been studied in patients with pre-existing gastroparesis. Victoza® should be used during pregnancy only if the potential benefit justifies the potential risk to the fetus. In 5 placebo-controlled clinical trials of at least 26 weeks’ duration, hypoglycemia requiring the assistance of another person for treatment occurred in 8 Victoza®-treated patients (7.5 events per 1000 patient-years). Of these 8 Victoza®-treated patients, 7 patients were concomitantly using a sulfonylurea. In the pool of 5 placebo-controlled clinical trials, withdrawals due to gastrointestinal adverse reactions occurred in 4.3% of Victoza®- treated patients and 0.5% of placebo-treated patients. Withdrawal due to gastrointestinal adverse events mainly occurred during the first 2 to 3 months of the trials. 3:34 a.m. Breast Cancer: When May Neoadjuvant Therapy Be the Right Choice? 3:41 a.m. Bacterial Vaginosis & VVC: How Can We Improve Current Diagnosis Methods? 4:21 a.m. So Cute You Could...Crush It? 7:19 a.m. Trading Places: The Future for MIS is in the Outpatient Setting…and the Future is Now! 9:33 a.m. How Does Psoriasis Affect Patients? 3:19 p.m. Is Peanut Oral Immunotherapy a Safe & Effective Treatment? 8:37 p.m. What Are the Latest Advances in Lupus Care? 9:35 p.m. So Cute You Could...Crush It? 11:00 p.m. Bacterial Vaginosis & VVC: How Can We Improve Current Diagnosis Methods? 11:13 p.m. What Do the Updated Medicare Payment Policies Mean for You?